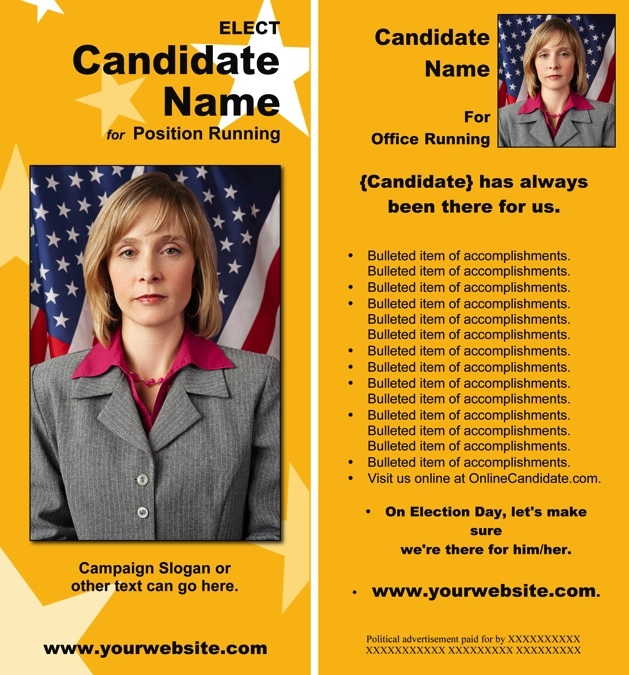 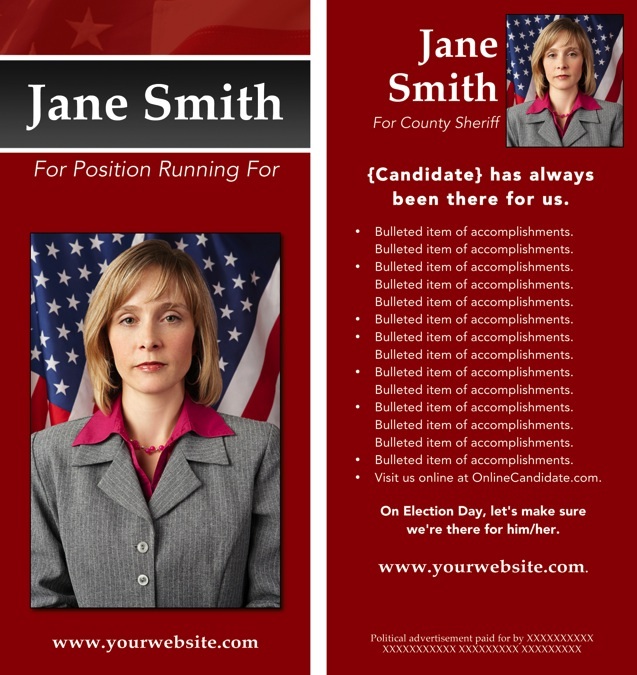 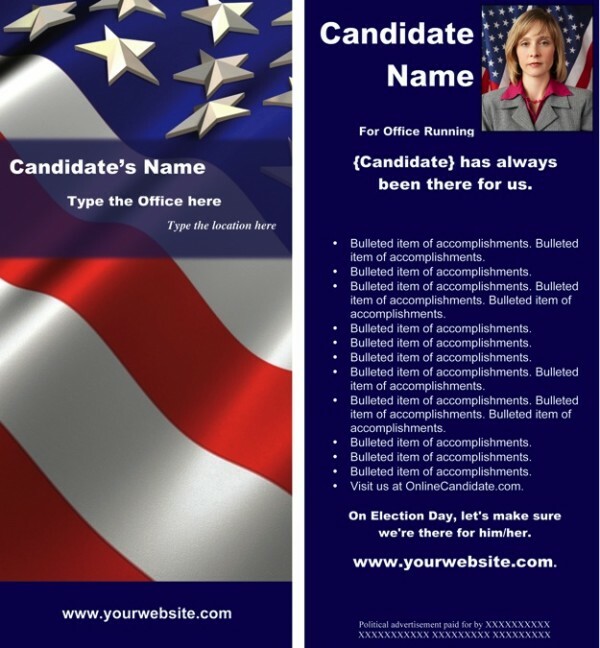 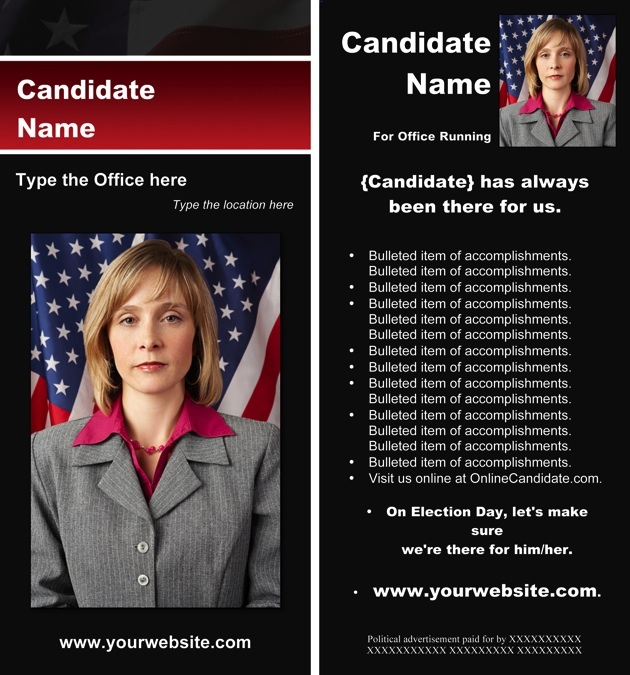 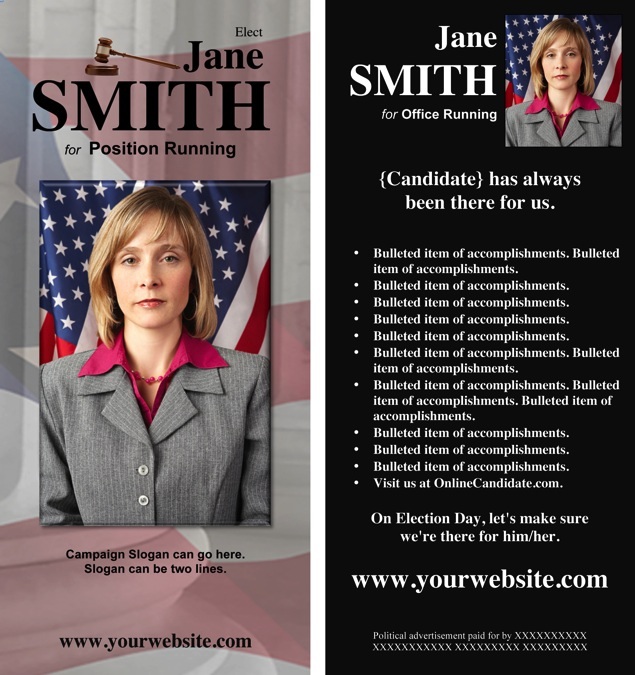 Campaigns without access to Quark and InDesign can still design and self-publish attractive campaign materials. 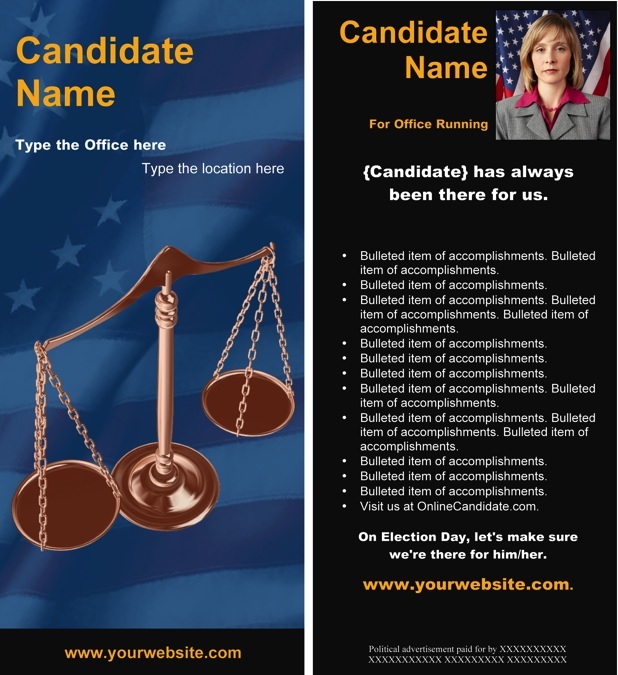 Professionally designed brochure templates are the best way to create consistent-looking materials that will distinguish your judicial campaign from the competition. 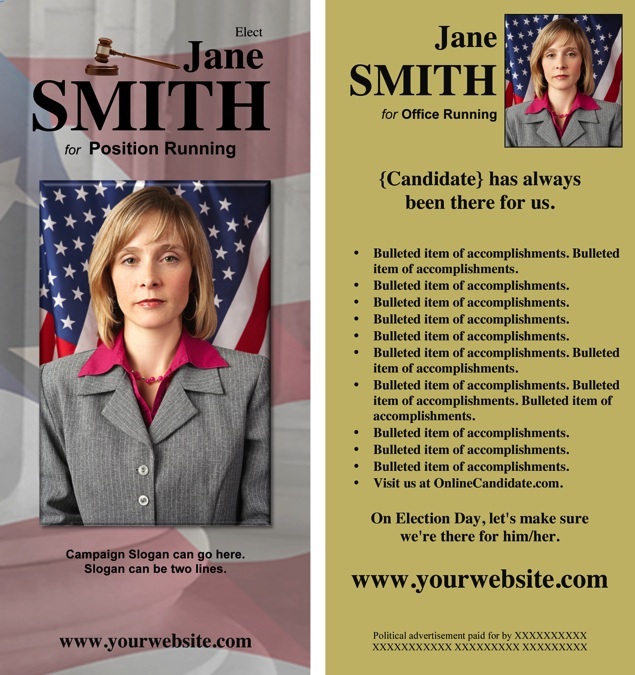 Why purchase a single template when you can own the COMPLETE theme set? 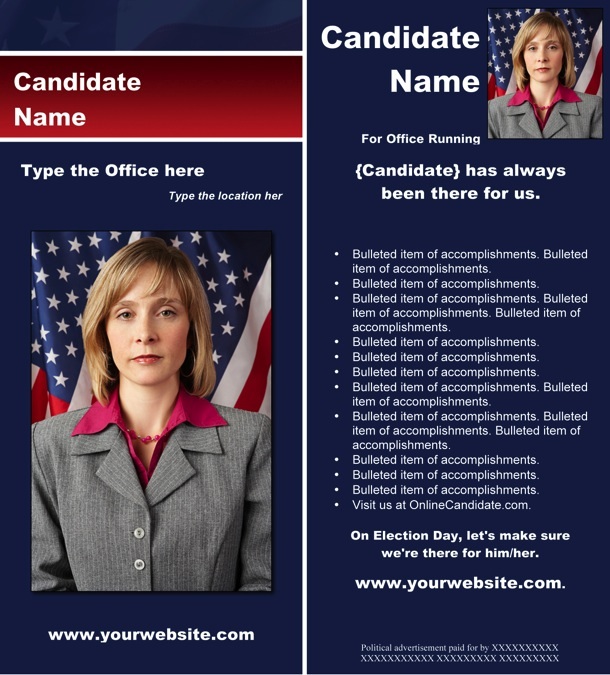 Free up your valuable time! 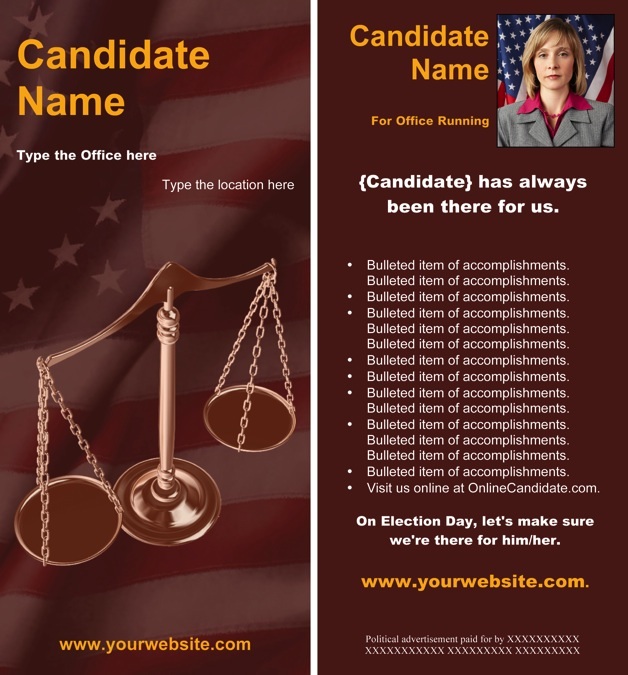 Download these templates to add a professional edge to your judicial campaign brochures and handout.